Snook fishing on Siesta Key! 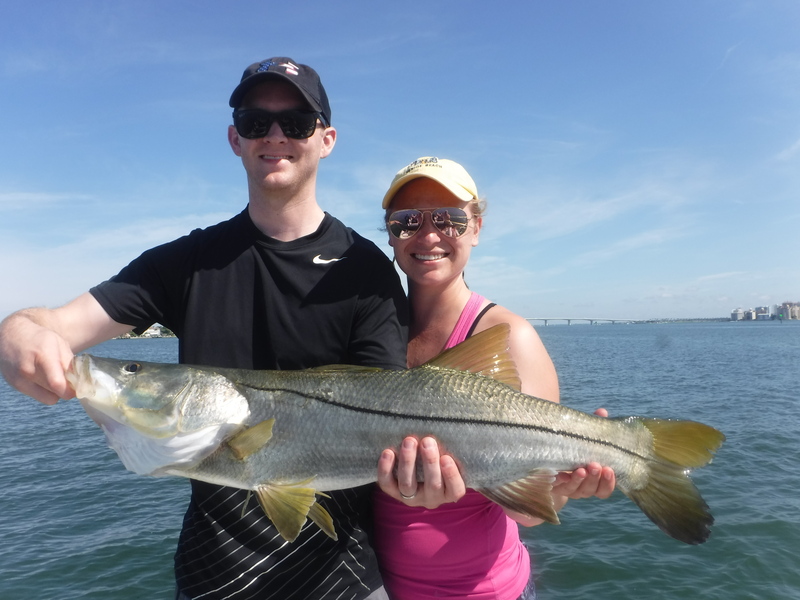 Snook are Florida’s premier inshore gamefish! 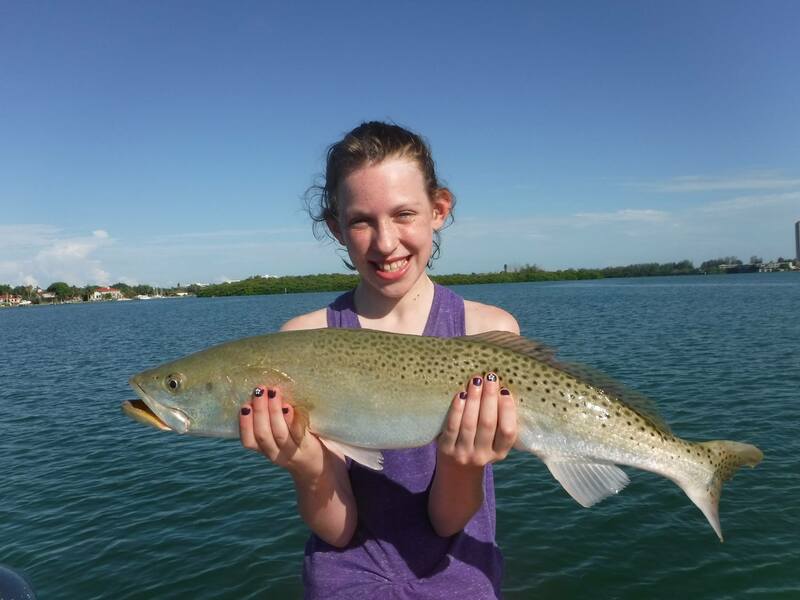 Siesta Key near Sarasota Florida holds good numbers of these hard-fighting fish. Snook fishing is popular all year long but do have a seasonal migration pattern. In the winter they will be found in the creeks and residential canals where the water stays warmer and there is plenty of forage. As it warms up, snook move through the bays and out onto the beaches along the Gulf of Mexico to spawn, then reverse the process and eventually end up back in the creeks the following winter. Snook are very similar to largemouth bass, a fish many northern anglers are familiar with. They are ambush predators and are usually found around structure. Docks, bridges, mangrove trees, and oyster bars are prime cover. Add in a depth change and some current flow, and there should be snook. Many of the artifial lures used for bass will fool a snook as well. Rapala plugs, soft plastic baits, and weedless spoons will all fool the wiley snook if presented correctly. Snook fishing can be done using a wide variety of angling techniques. The fertile water near Siesta Key provide prime habitat for these fish. Anglers can use live bait such as shrimp and small baitfish, articial lures such as plugs and jigs, and even fly fishermen can have good success. Night fishing is very popular, especially in the warmer months. The nearby Myakka River holds some very large snook and offers clients a glimpse at the “old Florida”. Visiting anglers can learn a lot about the area and techniques by going out on a fishing charter with a professional fishing guide. 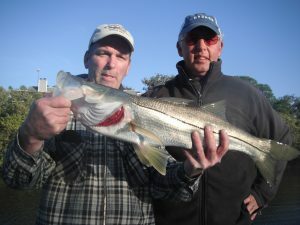 The money spent is a good investment and the angler will learn a lot in just a few hours with an experienced snook fishing guide in the rivers, creeks, bays, and passes of Siesta Key. Current snook fishing regulations can be found HERE.